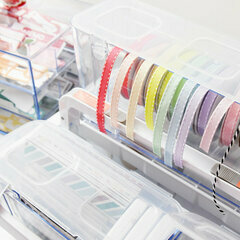 Keep your loose ends from getting tangled with the Deflecto Ribbon Dispenser! 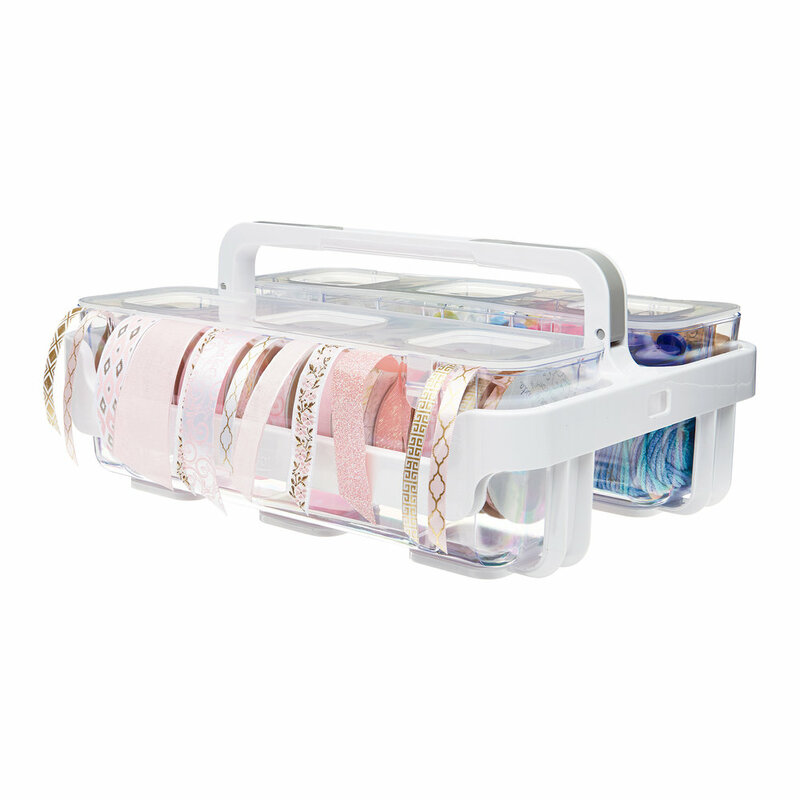 There is one clear ribbon dispenser with a snap tight lid included that fits inside the Stackable Caddy Organizer (sold separately). 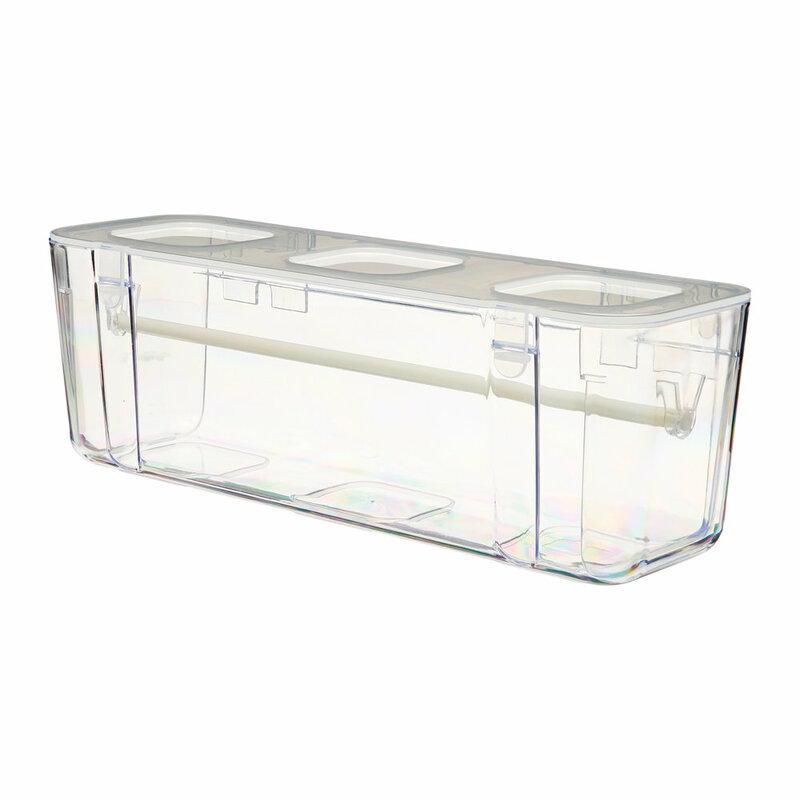 The dispenser measures 13.3" x 4.4" x 4.2". 13.3" x 4.4" x 4.2"
I have a shelf in my craft room where I have always had my glitter tape and twine displayed. It works ok for the tape but the twine spools are smaller and tumble all the time leading to hanging bits of twine. Enter my sweet and mischievous cat... As you probably guessed, hanging twine is a cat magnet and my kitty likes to knock it down and carry it all over the house. I needed a better solution and this is perfect! 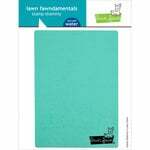 My twines are safe and sound from prying kitty paws and easier to have close so I can grab them to cut just a bit for a card here and there. 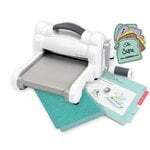 It is very sturdy and super easy to set up. 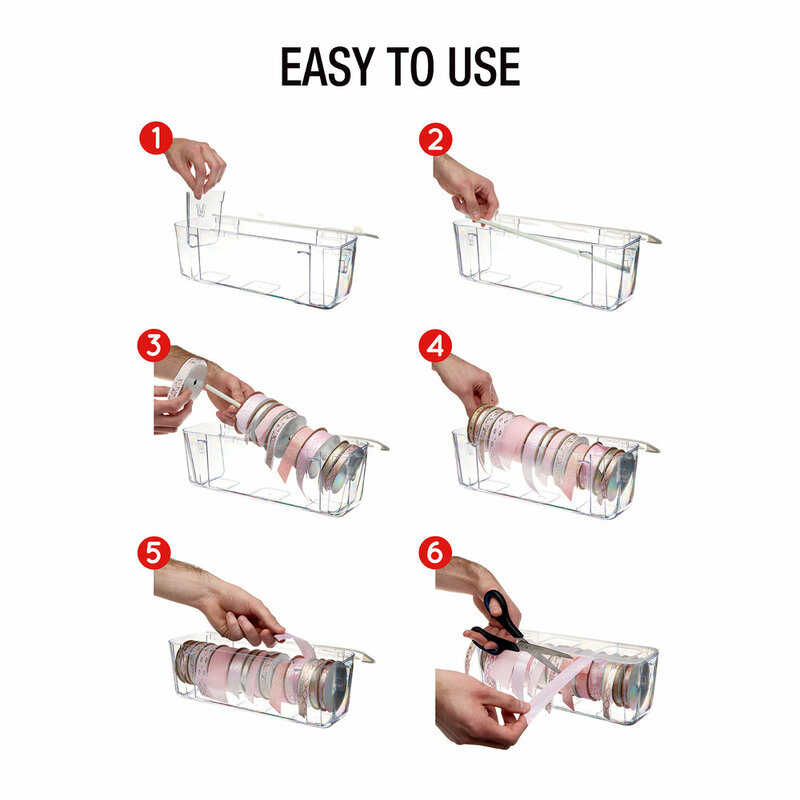 I love the secure lid...it's all around great! Such a genius invention! 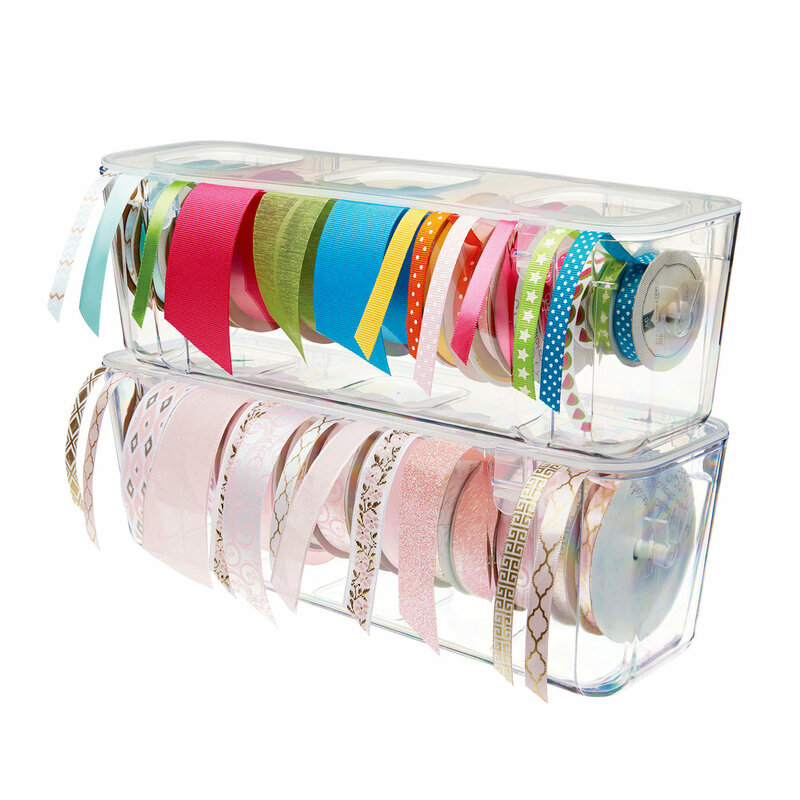 This high-quality ribbon dispenser pops together so quickly and easily. My ribbons were in a big messy basket and I rarely reached for them. 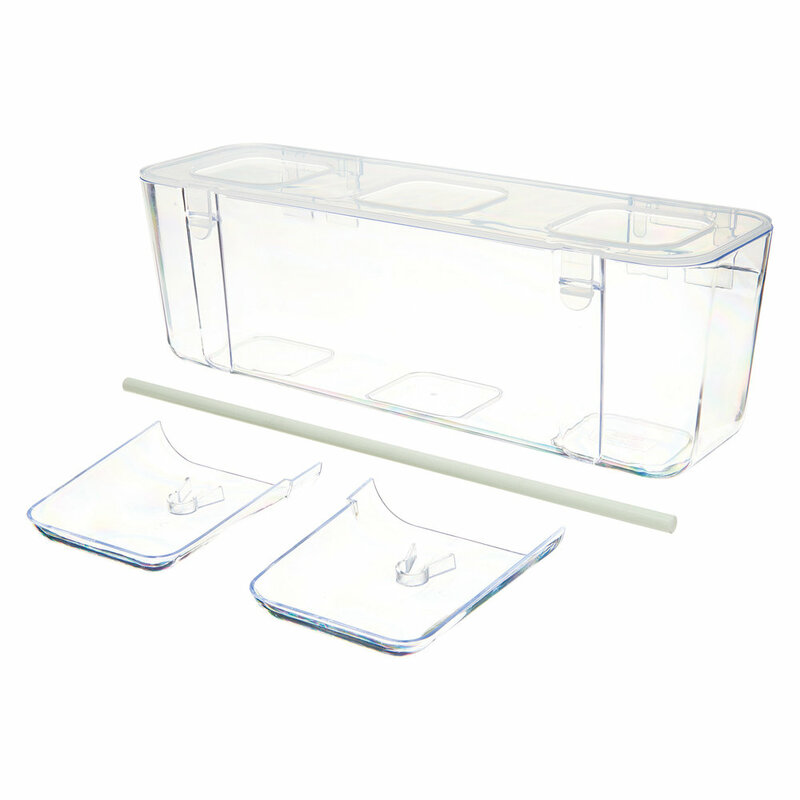 I love that you can pull a length of ribbon easily with the lid still closed and it keeps the ribbons tidy! 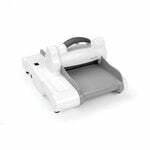 The plus is that if you are not regularly using ribbon you can take out the ribbon spool mechanism and use the bin for other storage! 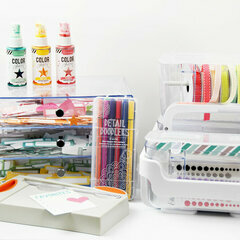 No more tangled mess and frustration! 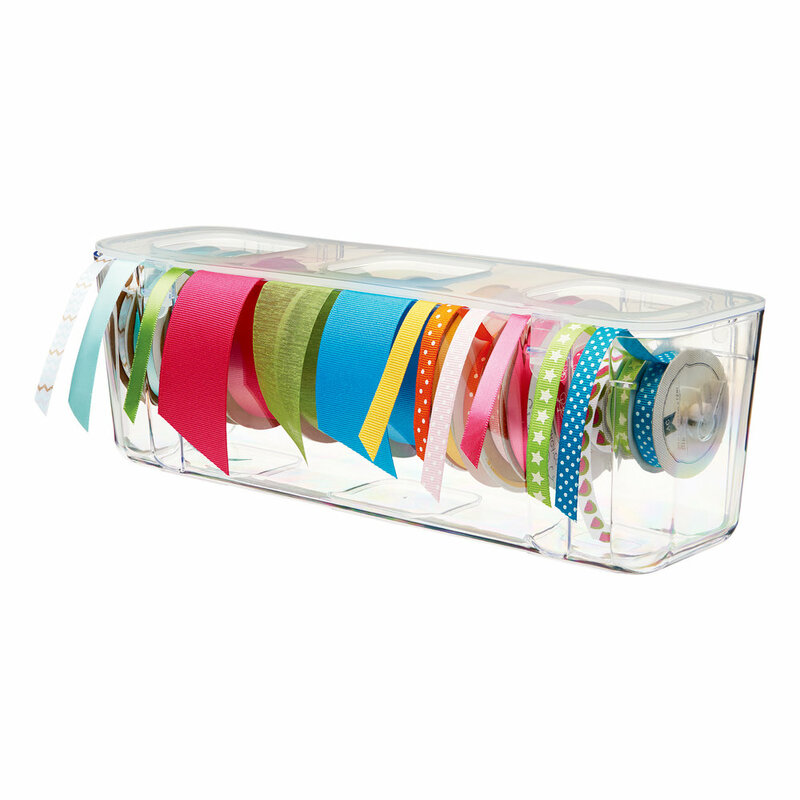 Before this container, I stored my ribbons by throwing them in to a box and hardly every used them because it was giant mess and out of sight, out of mind. 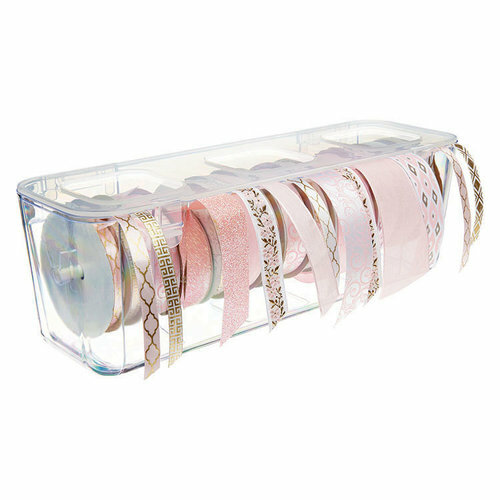 I love that this Ribbon Dispenser keeps all of my different ribbons and trims organized and easy to use without becoming a tangled up pile! 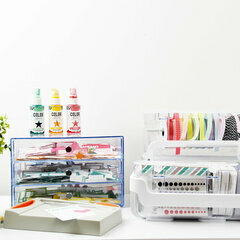 Used in this scraproom: Product Storage! 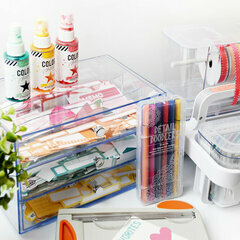 Does the ribbon dispenser stack on top of itself separate from the stackable caddy? By: kjtrakas (04-Mar-19) Helpful Question? Yes | No Thank you! Report Inappropriate This question has been reported. Thank you! 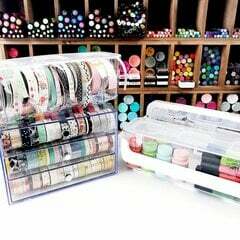 If your ribbon spools are small so that the lid closes then yes, it's stackable. However I have some larger spools of ribbon (3 1/4" in diameter) that don't allow the top to close. If only the bracket that holds the rod were placed down farther into the box it could accommodate larger spools of ribbon. By: stbmel (07-Mar-19) Helpful Answer? Yes | No Thank you! Report Inappropriate This Answer has been reported. Thank you! 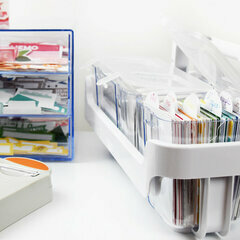 Yes, the ribbon dispenser will stack with another one. I am not using the caddy, but have them stacked on a shelf. By: gmfamily (06-Mar-19) Helpful Answer? Yes | No Thank you! Report Inappropriate This Answer has been reported. Thank you! Can this be mounted onto the bar? By: pen_marie99 (29-Dec-18) Helpful Question? Yes | No Thank you! Report Inappropriate This question has been reported. Thank you! Not sure what bar you would attach it to? 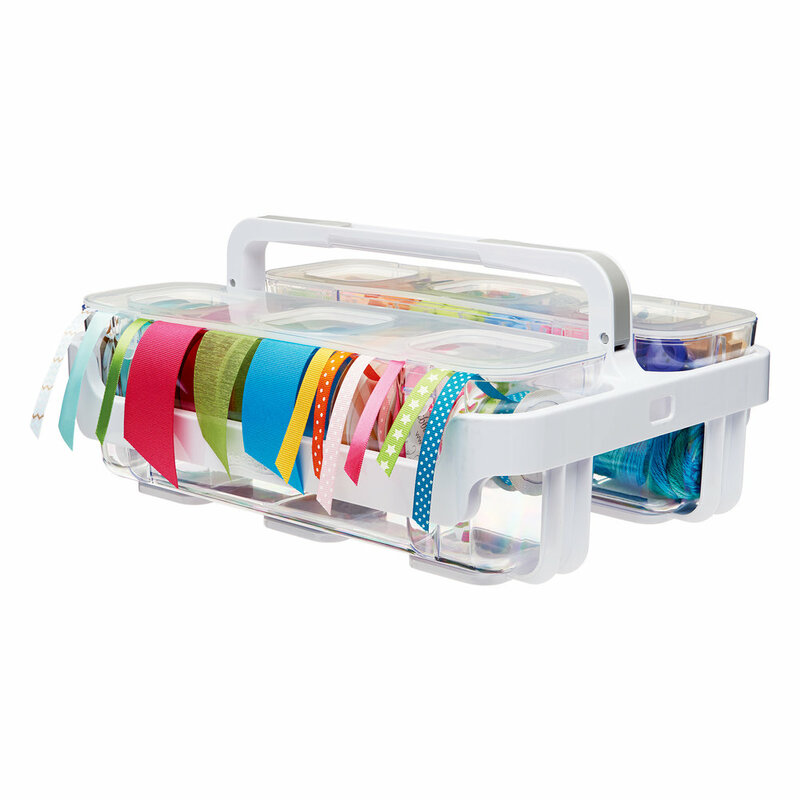 The ribbon holder is self-contained. 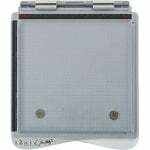 It does however have slots on the back that you can hang it on the wall with either nails or screws into a stud in the wall. I hope this answers your question. By: VONNIE4MP (30-Dec-18) Helpful Answer? Yes | No Thank you! Report Inappropriate This Answer has been reported. Thank you!